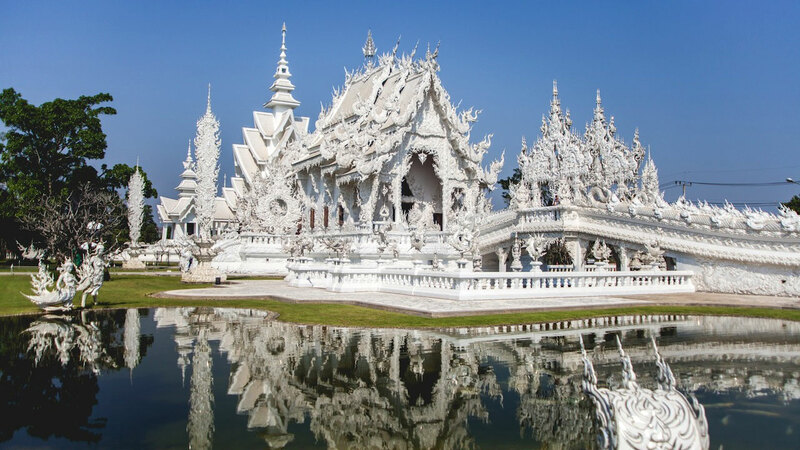 Chiang Rai is the second most visited destination in the northern part of Thailand and we risk saying it’s one of the most traditional places in Thailand still. Chiang Rai Wedding Packages will be a romantic choice for the couples looking forward to having an exotic experience, and experiment a new culture, completely different from your own. Amazing temples, rich culture and stunning lush green forests await you here. Most weddings venues in Chiang Rai Wedding take place in gardens for that special green touch, and temples are the second favorite. Buddhist Blessing Ceremony : Have a traditional Thai wedding in one of Chiang Rai’s Buddhist Temple and be blessed with good luck, good love and good life by the monks. Pre Wedding Packages : Many places in Chiang Rai offer amazing view and location for the perfect background for your photos. Extraordinary service with the super professional team of photographers will make your Pre Wedding Photo Shoot day an unforgettable one. Religious Marriage : Marriage is the union of two different surnames, in friendship and in love, in order to continue the posterity of the former sages, and to furnish those who shall preside at the sacrifices to heaven and earth, at those in the ancestral temple, and at those at the altars to the spirits of the land and grain. Browse our Chiang Rai Wedding Packages Showcase - Married Couple at Chiang Rai, Thailand.